It was another early morning for all of us. The travel agents making sure to drop of their big luggage at the reception to have it sent to their hotel in Yokohama, us writers making sure we have everything packed for our trip back to Manila. We tucked in a heavy breakfast, which proved to be a mistake, as our first stop was apple picking at Shiojiri, a town about half and hour’s drive away from Matsumoto. It was a farm that had both apples and grapes, and though the grapes are already all gone, the apple trees are laden with fruits. Picking an apple from the tree is quite easy: cup the apple on its bottom with your palm, turn your hand (and the apple) upside down, and the stem will just pop out from the tree. For ¥500, you can pick as many Fuji apples that you can eat. Yes, you read that right. You can pick as many as you want, provided that you can consume it right inside the orchard. You can bite into the apple directly, or if you prefer to slice it or peel the skin, sharp knives are provided. I only managed to eat one, and it tasted really good. 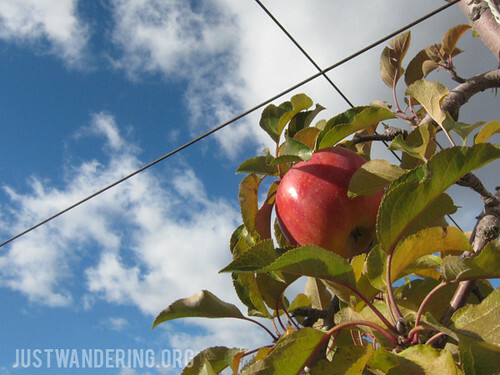 It was a far cry from the Fuji apples we get in Manila: it was juicy and packed with flavor. You can buy freshly picked apples at their store; a bag of eight apples cost me ¥500. They have other fruits and vegetables for sale as well. We continued driving south, and went up the mountains to the lovely town of Magome. Yoshi tells us that this town is a popular spot for Japanese tourists who wants to see and experience how it was like to live in the olden days. It is also a popular place to film samurai movies, because it’s the perfect setting. Magome lies in the middle of the path that takes travelers from Tokyo to Kyoto. This is where they rest and sleep for the night, and leave their horses because they can’t climb the steep paths ahead. The town goes up into the mountain, and it was an arduous walk up on the cobbled path. Many are still living in the town, with the houses and stores retaining the original architecture. 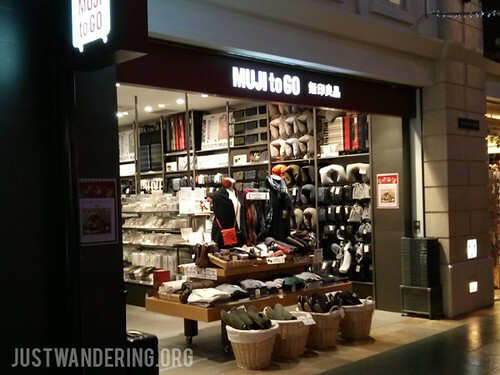 There are plenty of souvenir shops, a couple of cafes, and what stopped me in my hike up: a rest stop with free wi-fi. 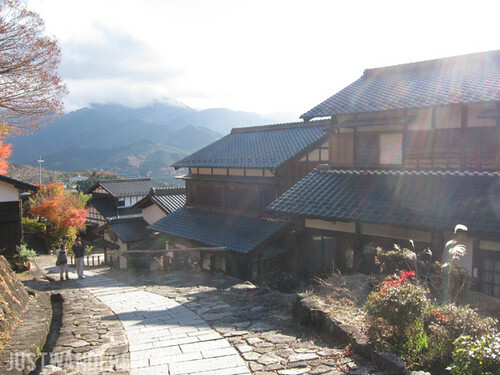 Like Shirakawa-go, Magome is a town you’d want to see at different times of the year. I’m not sure if I’d want to go there in the winter though; the steep cobbled walk might be slippery with snow and frost. From Magome, we continued our drive back to Nagoya. After several days spent in small cities and towns, it was a bit startling to be back in the big city. 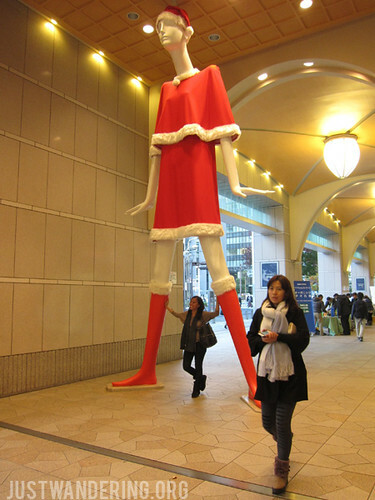 We were dropped off at the Meitetsu Department store, where we had a chance for a bit of shopping in the 9-storey building. It was too big, and there were too much to see that 30 minutes wasn’t nearly enough! The Meitetsu Department Store stand above the Meitetsu-Nagoya Station, where we hopped on the Myu Sky Limited Express train to the Chubu Centrair International Airport. It was a quick 28-minute ride, and we were checked in for our flight in no time. The entire four days was packed to the brim, and it was an amazing experience, getting to see what Japan has to offer beyond the usual destinations. If anything, this discovery trip to the Chubu region got me more inspired to explore more of Japan.